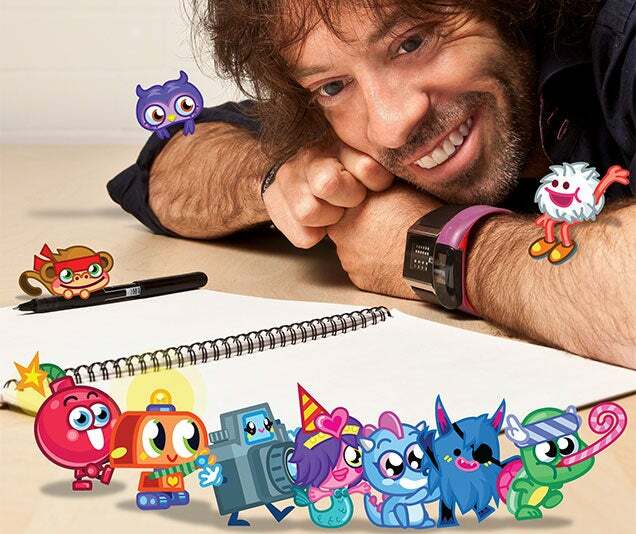 Before co-founding the unicorn company Calm, Michael Acton Smith ran the online gaming company that created Moshi Monsters, a U.K. sensation. Here’s his story. This story was originally published on Oct. 19, 2018, and has been updated. One summer morning in 2014, Michael Acton Smith sat on a balcony overlooking a lush green valley in the Austrian alps. He had booked a vacation by himself to get away from the stress of his crumbling online gaming company. The view, composed of abundant grass and far-off mountains, seemed almost cookie-cutter — evoking a postcard, a computer desktop, a backdrop to rousing words on a motivational poster. But Acton Smith wasn’t taking in the scenery. His eyes were closed, and his mind was clear. That stretch — 10 minutes of peace, he recalls — was the co-founder of Calm’s most clarifying meditation experience. A friend (and Calm’s co-founder), Alex Tew, had entreated him to try the practice, but Acton Smith had rolled his eyes for years. It's too woo-woo, he thought. Religious. And what's up with the incense and outfits? Finally, after a mountain of stress at his company and continued encouragement from Tew, Acton Smith gave meditation a real shot. Two years later, Acton Smith would join Tew in devoting himself to Calm full-time. It paid off. In 2015, he said, the meditation app brought in $ 2 million. By 2017, revenue had multiplied tenfold — and the company won out over millions of others for Apple’s App of the Year. 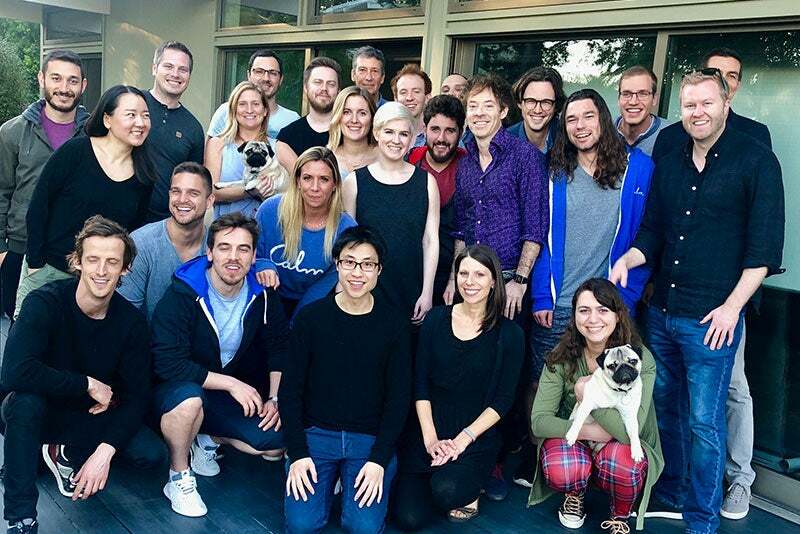 On Thursday, Calm closed an $ 88 million series B funding round with a valuation of $ 1 billion. Seated on that balcony in 2014, conscious of his breath, Acton Smith opened his eyes for the first time. He calls it his lightbulb moment. Everything around him seemed brighter. 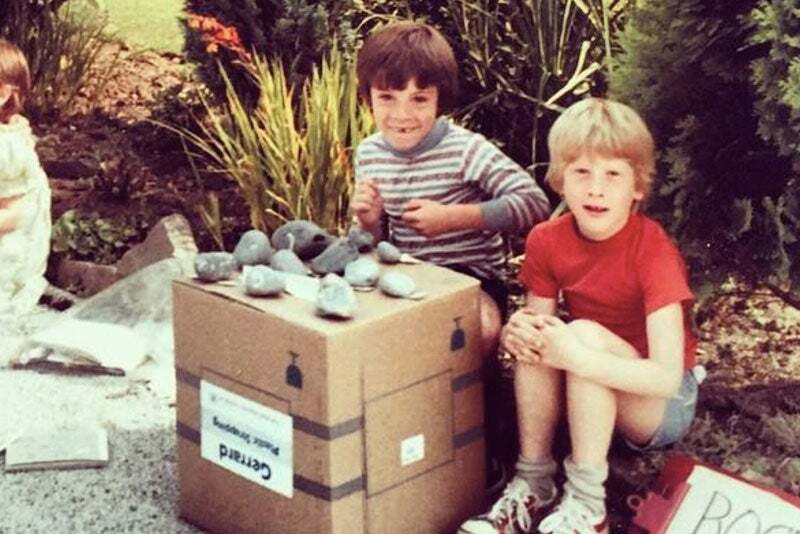 Acton Smith’s childhood was filled with pet rocks, Tamagotchis and video games, so it was only natural that around age 30, he started a kids’ entertainment company. 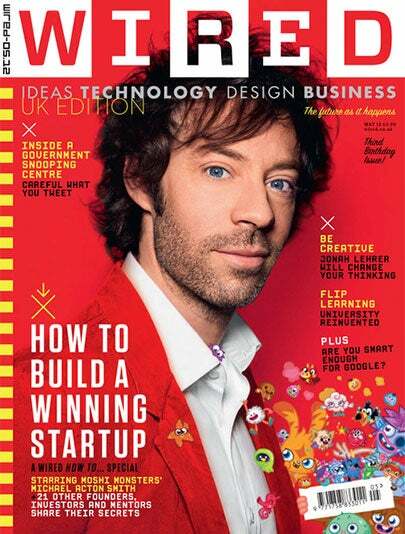 Mind Candy focused on online gaming, and soon after its launch in 2003, Acton Smith raised $ 10 million in venture funding. The idea that landed him the cash? Perplex City, a long-term alternative reality game in the form of a global treasure hunt. Users around the world would search for a stolen artifact from a fictional metropolis (Perplex City) using clues, puzzles and ciphers, the winner receiving a real-life reward of 100,000 pounds. The search began in April 2005. Clues were decoded, trading cards were purchased and communities were formed, with the game wrapping up after one man found the artifact and won the reward in February 2007. But the game, at least financially speaking, was better in theory, and Mind Candy put the second round on hold indefinitely. It was a “commercial disaster,” Acton Smith says. With less than $ 1 million left in the company’s account, he knew he had to do something quick to turn things around. He spent months brainstorming in London coffee shops with nothing to show for it except fruitless scribbles. But one day, Acton Smith’s napkin doodles yielded a series of little monsters, and he knew he had something. Those doodles would evolve into Moshi Monsters, an internet “pet” that, beginning in October 2007, would take the U.K. by storm. The world of Moshi Monsters was similar to that of Neopets or Tamagotchi — kids could log on and feed, hug or walk their monsters, and the pets’ personalities developed according to how well they were treated. There were online games, puzzles, shops — even a messaging system for kids to chat with their friends. And those kids were the product’s best ambassadors, spreading the game like wildfire among classmates, extended family and friends at different schools. “It took a few years before it caught fire, but when it did … it grew like nothing I’d ever seen before,” Acton Smith says. By the game’s 2012 peak, half of all British children ages six to 12 had reportedly adopted a Moshi Monster. That level of growth resulted in a broad swath of partnerships. With Sony, a music album. With Universal Studios, a movie that premiered around the country. With SkyJack Publishing, a magazine that — within six months of its launch — became the best-selling children’s title in the U.K. Tens of millions of physical toys were being sold, awards were being won, team members were being hired (at one point, Mind Candy had more than 200 employees). “We thought we were going to be the next Disney,” Acton Smith says. But by fall 2012, Moshi Monsters had begun to fall apart. To Acton Smith’s shock, the virality that had propelled Moshi Monsters into being the “coolest thing on the playground” was also the principal factor in its demise. For the past couple of years, Moshi Monsters’ subscription model had been raking in revenue — parents paid for their kids to use the site, and there wasn’t much competition at the time. But in 2012, parents began buying their kids smartphones and tablets instead. The brand faltered when it attempted the switch from internet platform to mobile app. The revenue model would have had to change from subscriptions to in-app purchases, the company’s marketing technique would have required an overhaul and, with thousands of other apps at a child’s fingertips, there was simply too much competition. One minute, Acton Smith felt like the poster boy of the U.K. tech scene with hundreds of millions of dollars at his disposal. A few weeks later, he couldn’t sleep through the night for fear of being unable to keep his company afloat. That constant stress would last for years. “I thought the world was ending,” Acton Smith says. He felt his self-worth and success were interwoven with the business, so when it began to fail, he felt completely responsible. That led to bouts of insomnia, exhaustion, headaches — and things worsened when, over the next three years, he had to lay off 200 employees. Acton Smith learned a valuable lesson about the often-fickle world of entertainment — particularly kids’ entertainment. “Just because you’re growing like crazy doesn’t mean you’re going to grow like crazy forever,” he says. In 2006, Acton Smith met Alex Tew for the first time on a boat. The year before, he’d seen a deluge of headlines surrounding Tew, a teenager who, to raise money for college, created a website and sold each of its million pixels for a dollar each — reaching millionaire status in just four months. The two became fast friends, then housemates. Tew was the first person to teach Acton Smith about meditation, and they often sat on their sofa discussing philosophy, neuroscience and business ideas. In 2012, the two purchased Calm.com with the hazy idea to create products to help people relax, but although they floated ideas such as soothing videos and relaxing sound effects, they weren’t sure of its concrete direction. The next year, Tew moved to San Francisco for another job, and the two had regular transatlantic phone calls about the future of the company. The next year, for Acton Smith’s birthday, he, Tew and a group of friends took a trip to the Italian countryside. They had in-depth conversations about mindfulness and where they might take Calm, and they meditated together in the Tuscan hills. That same year, when Moshi Monsters’ revenue began to tank, Acton Smith did something he’d never done before: Take a step back, alone in a new place, and collect his thoughts. He decided on a solo trip to the Austrian Alps and brought along books on meditation. One of them, 10% Happier, struck a chord. Nightline anchor (and, as he puts it, “lifelong nonbeliever” in self-help) Dan Harris had penned it after experiencing a panic attack on Good Morning America, then finding a down-to-earth meditation regimen that worked for him. Something clicked for Acton Smith when he discovered that meditation wasn’t as much about incense or religion as it was about neuroscience. “I realized it was an ancient but valuable skill that could be relevant for everybody,” he said. He tried it on his hotel balcony on vacation, and afterward, he felt less stressed and more conscious of his breath. Colors even appeared more vivid. Though Tew had been pushing Calm’s focus on meditation for a while, it wasn’t until Acton Smith’s balcony meditation experience that he agreed. Later that day, Acton Smith pulled out his notebook and poured out ideas for the company. He had experienced firsthand how stressful life — and business — was in Western society, and he felt that for most people, the future skewed even more stressful. He remembers thinking: Instead of being in the entertainment industry — here today, gone tomorrow — what if we could build a brand that could outlast us and be here for centuries? Wouldn’t that be an amazing thing to dedicate the rest of our careers to? Over the next year or two, Tew and Acton Smith chatted via phone, found developers and started to build Calm as it is now — guided meditation and programs for everyone, both beginner and advanced. By January 2016, Acton Smith finally felt ready to step away from Mind Candy. 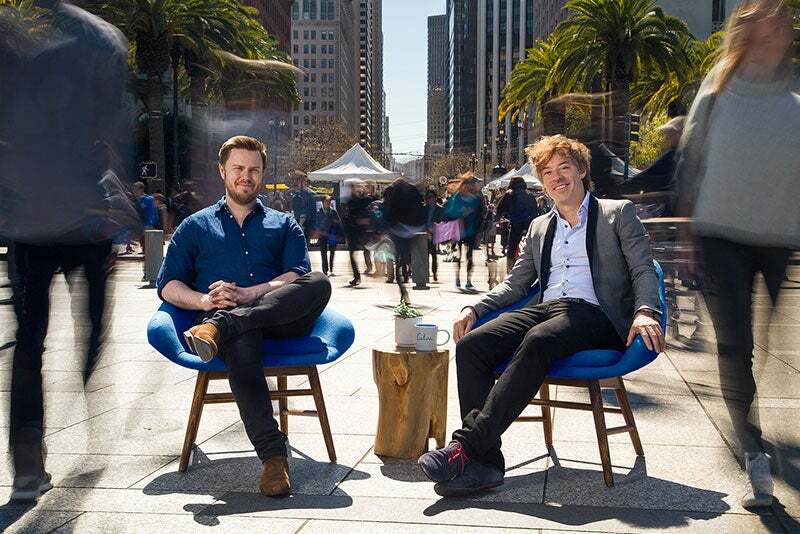 He found a new CEO to take over (though he maintains, to date, his role as chairman) and moved to San Francisco to dedicate himself completely to Calm. He and Tew, who had already been working full time on Calm, agreed to be co-CEOs and split the company equally, but at the time, revenue was touch-and-go — and the company didn’t have much money banked. During the first half of 2016, Acton Smith worried whether Calm would be able to “keep the lights on.” At the company’s lowest point, there were a few thousand dollars left in the bank. It didn’t help that potential investors kept giving them the boot. Acton Smith heard through the grapevine that one investor had called Calm a “load of nonsense,” saying it was “never going to work.” He remembers another described the company as a “fluffy little meditation app.” Venture capitalists backed up their decisions with an investing idea championed by Warren Buffett — the need for a “moat,” or an ability to maintain an advantage over competitors. Everyone seemed to think consumers could access the same services elsewhere for free — that they wouldn’t pay for what Calm offered. After about six months, Acton Smith and Tew decided they had no choice but to make the business profitable. They kept the team size under 10, worked long hours in a one-bedroom apartment in San Francisco and sharply questioned every outgoing dollar. Acton Smith paid for many of Calm’s expenses on his personal credit card. By early 2016, Calm finally broke even. Although the small team worked out of that one-bedroom apartment for the first year or so, it’s now grown to 40 employees — and together, they begin each day with a 10-minute meditation. Acton Smith said he feels Calm is holding onto a rocket ship for dear life and that there’s much further to go. He projected Calm’s 2018 revenue to be $ 80 million — a far cry from the tens of thousands he spent on his credit card during launch — and, after its valuation at the close of Thursday's series B funding round, Calm is now valued as a billion-dollar company. To date, 35 million people have downloaded Calm, but that’s less than 2 percent of the number of smartphones worldwide. Acton Smith says he aims to bring meditation to every single one.